By Rachel Held Evans, on May 12, 2014. It never fails. Every year, on the Monday after Mother’s Day I receive a flood of messages from women who spent yesterday morning grimacing through yet another Proverbs 31 sermon. But for women like me who grew up thinking of the domestic super-heronie of Proverbs 31 as just another impossible standard by which to mark my shortcomings as a woman, the passage can come with some…baggage. That’s because, too often, we focus on the Proverbs 31 Woman’s roles as a way of reducing womanhood to marriage, motherhood, and domesticity, when really, this passage is about character that transcends both gender and circumstance. 1. Proverbs 31 is a poem. Packed with hyperbolic, militaristic imagery, the poem is an acrostic, so the first word of each verse begins with a letter from the Hebrew alphabet in succession. This communicates a sense of totality as the poet praises the everyday achievements of an upper-class Jewish wife, a woman who keeps her household functioning day and night by buying, trading, investing, planting, sewing, spindling, managing servants, extending charity, providing food for the family, and preparing for each season. Like any good poem, the purpose of this one is to draw attention to the often-overlooked glory of the everyday. As a poem, Proverbs 31 should not be interpreted prescriptively as a job description for all women. Its purpose is to celebrate wisdom-in-action, not to instruct women everywhere to get married, have children, and take up the loom. Good News: You don't have to know how this works to be a Proverbs 31 Woman. If you’ve read A Year of Biblical Womanhood, you’ll know I first learned this from my Jewish friend Ahava who told me that in her culture, it’s not the women who memorize Proverbs 31, but the men. (What I wouldn’t pay to see a Christian MEN’S conference in which the central text is Proverbs 31!) They memorize it, Ahava said, to sing it as a song of praise to the women in their lives—their wives, daughters, sisters, mothers, and friends. Ahava’s husband sings Proverbs 31 to her at every Sabbath meal. As I did more research, I learned that indeed the only instructive language in the poem is directed at the poem’s intended male audience: “Praise her for all her hands have done.” And yet many Christians interpret this passage prescriptively, as a command to women rather than an ode to women, with the home-based endeavors of the Proverbs 31 woman cast as the ideal lifestyle for all women of faith. An empire of books, conferences, products, and media has evolved from a subtle repositioning the poem’s intended audience from that of men to that of women. One of the more popular books is titled Becoming the Woman God Wants Me to Be: A 90 Day Guide to Living the Proverbs 31 Life. This discovery led me to declare “woman of valor!” when a good friend finished seminary, when my mom beat breast cancer, when my sister ran a half marathon. It also led us to launch our Women of Valor series here on the blog. According to Ahava, valor isn’t about what you do, but how you do it. If you are a stay-at-home mom, be a stay-at-home mom of valor. If you are a nurse, be a nurse of valor. If you are a CEO, a pastor, or a barista at Starbucks, if you are rich or poor, single or married—do it all with valor. That’s what makes you a Proverbs 31 Woman, not creating a life worthy of a Pinterest board. It’s been a joy to hear from women who read A Year of Biblical Womanhood and report that where they once hated Proverbs 31, it’s now one of their favorite passages because it provides a fun way to celebrate all those daily acts of faithfulness exhibited by the women in their lives. This, I believe, better reflects the original intent of Proverbs 31, and therefore honors Scripture well. 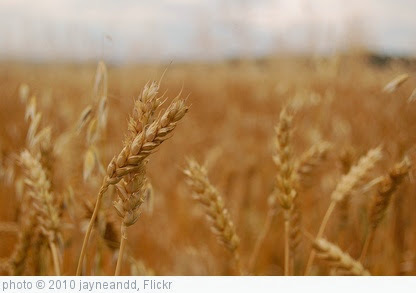 Ruth was a destitute foreigner whose daily work involved gathering, threshing, and winnowing wheat. For most of her story, she is neither a wife nor a mother. 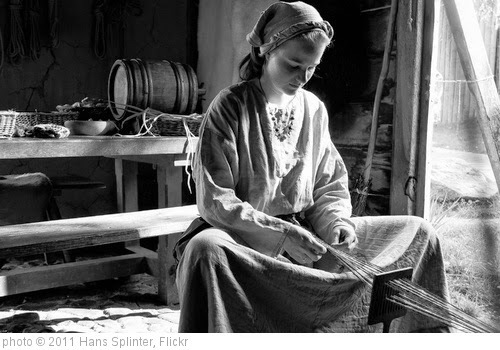 Circumstantially, her life looked nothing like the life of the woman depicted in Proverbs 31. Ruth didn’t spend her days making clothes for her husband. She had no husband; she was widowed. Ruth's children didn’t rise up and call her blessed. She was childless. Ruth didn’t spend her days exchanging fine linens with the merchants and keeping an immaculate home. She worked all day in the sun, gleaning leftovers from other people's fields, which was a provision made for the poorest of the poor in Israel. “All the people of my town know that you are a woman of noble character” (Ruth 3:11). The Hebrew that's used there is “eshet chayil" - woman of valor. Ruth is identified as a woman of valor, not because checked off some Proverbs 31 to-do list by getting married, keeping a clean house and producing children, but because she lived her life with incredible bravery, wisdom, and strength. She lived her life with valor. So pastors, don’t be afraid of looking to Scripture for examples of strong and capable women. But be careful of focusing on marriage, motherhood, and domesticity, when it is not our roles that define us, but the integrity and bravery we bring to those roles. You don’t have to turn to Proverbs 31 to find women of valor. You can turn to Sarah, Deborah, Esther, Mary Magdalene, Mary of Bethany, Mary of Nazareth, Martha, the Apostle Junia, Priscilla, Phoebe, and Tabitha too. And you can turn to the women of valor in your life and around the world who are bringing their unique gifts, insights, passions, and callings to bring hope and healing to the world. That’s what it really means to honor Proverbs 31. For a much more in-depth look at this passage and others in Wisdom literature, see Bruce Waltke's The Book of Proverbs: Chapters 15-31 and Ellen F. Davis' Proverbs, Ecclesiastes, and the Song of Songs. You can also read more in my book, A Year of Biblical Womanhood.